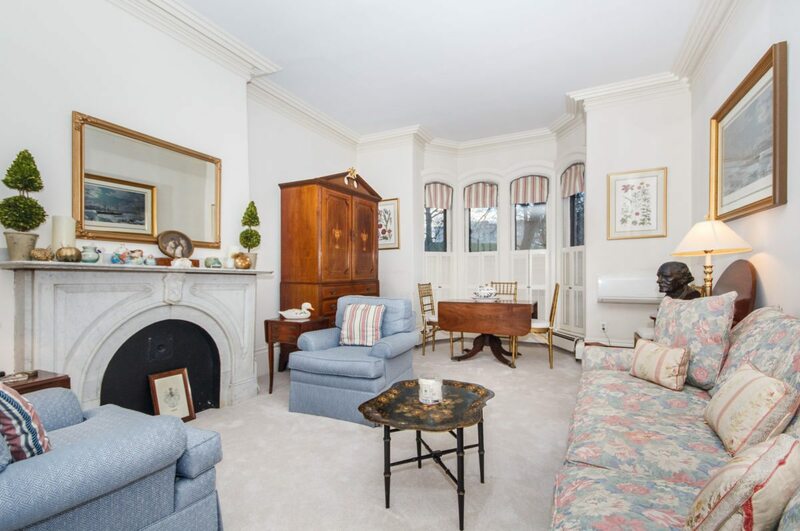 Spectacular Parlor Duplex directly on Monument Square with Enormous Private 800SF Yard! Expansive Living Space of 1400SF! This Stunning Home boasts a Lovely Formal Livingroom, Diningroom with Ornate Original Period Detail and Marble Mantel! Striking Cornice Moldings, thick trim detail! Outstanding 4 Bay Window with scalloped windows overlooking the Park & Monument! Enormous Master Bedroom Suite with en Suite Bath! Large Windows look out at your Lush Gardens! Towering Ceiling Height! Sleek New Gourmet Kitchen with abundant cabinetry, endless quartz counter tops, breakfast bar and top of the line appliances! Familyroom with Gleaming Oak Floors! Direct access to your own Private Designer Landscaped Yard and Patio for Memorable Entertaining! Truly a Gardener’s Paradise! Enjoy working or lounging in your Warm & Cozy Den! A Rare Opportunity for the Discerning Home Buyer in an Absolutely Prime Location! A True Gem!